Can you imagine having the keys to a kingdom? How awesome would that be!! This is true in all domains, especialy when it comes to your website. This is almost like the holy grail of website attacks, gain access and do what you want with someone else’s pride and joy. We all know that once a website is compromised it can be used by attackers in various ways. The most common attack we see leverages the hacked site as part of a malicious SEO Spam campaign (most profitable), followed by malware distribution (think drive by downloads) and ofcourse the integration into botnets, to perform things like DDOS / brute force attacks on other sites. In any of these scenarios the attacker is able to, more often than not, monetize “their” new website. Yes, the fact that they have gained access to your website makes it theirs now. On a side note, we are seeing a tremendous number of websites being used to mine bitcoins specifically, but being it’s the new Billion dollar currency it only makes sense, but I digress. None of this, ofcourse, is new to our industry. Just crawl through the archives of this blog and you’ll find scores of data points that talk to the various scenarios addressed above. What you won’t find though is this new trend that we’re seeing. Since the shutdown of the Blackhole Exploit kit we’ve been sitting back idly waiting for the next big thing, and perhaps this is it, but then again, perhaps it’s nothing more something that hid in the shadow and is only now finally out in plain sight. Let’s talk a little about website mesh networks and how they are being used to distribute malware. Yes, I know, not the fanciest of descriptions but for our purpose it works. When reading through this, I want you think of each website as a node in the mesh. In essence, each of the websites, although hosted separately, owned by people that don’t know each other, are all, inevitably interconnected to one another. Again, nothing new in the concept, we see it everyday in various botnets, right? The latest exploit kit payloads we are tracking on compromised websites seem to have a very similar characteristic, they are part of a bigger network of compromised website, or what we’re classifying as a compromised Website Mesh Network. As websites get infected, the attackers are continuously adding them to their larger network of malware intermediaries. This means it is not only being used against people visiting the website, but also against users of other compromised sites. Let’s say the bad guy, Home Simpson managed to hack into 3 web sites: X.com, Y.com and Z.com. Homer injects malware into X.com that then loads from Y.com. The malware from Y.com is loaded from Z.com and the one from Z.com is loaded from X.com. That’s right folks, you guessed it, it’s one Giant Self-Licking Ice Cream Cone!!! The attacker no longer needs to register domains to hide malicious content and it is very hard to take down. The more sites he manages to compromise, the more powerful their mesh network of compromised websites becomes. With this simple payload we were able to identify some 800 websites and more than 19,000 pages compromised. And the injection always happen with the same format, a script src loading from a random PHP file and a random ID code. Every compromised site gets this PHP code injected in it. 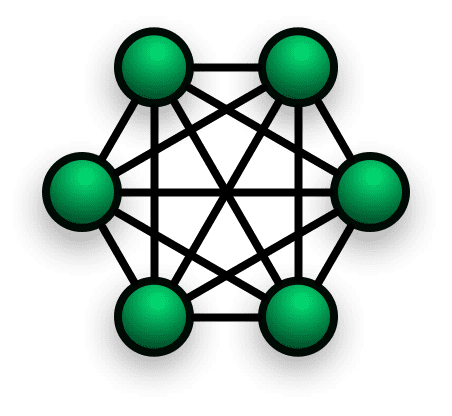 What is the Scale of these Website Mesh Networks? While it is really hard to provide definitives around how many websites are really compromised and injected with this type of infection we are able to provide some good educated guesses. Using our very limited view, we identified 800+ domains within our own network of clients. Google agrees with us and it seems they identified a lot more sites, who would have thought, based on the safe browsing data. Yes, this site has hosted malicious software over the past 90 days. It infected 101 domain(s), including dimensiones.org/, rometransfer.com/, hout-atelier.nl/. Yes, this site has hosted malicious software over the past 90 days. It infected 60 domain(s), including moyer-consulting.com/, rote-liebe96.de/, izorynek.pl/. So it seems that each site compromised is also used to infected 50+ different domains. And the more you dive into the data, the more sites you find. You can see that with a little sleuthing the order of magnitude begins to quickly multiply. Ah yes, the age old question of how!!! It’s not any easier to answer here as it’s ever been in any other post we share. As is often the case we see ascertain our data remotely and as such we are limited in a number ways, this case was no exception. We will however provide a post later better dissecting the payload, or at least we hope we will. As for the how, we did try to scan several of the compromised website in attempt to identify the vector, but we had little luck. While we were unable to find a much coveted silver bullet that tied them together, there was more in what we didn’t find than one might think. For instance, a few of them were using Drupal, others were using WordPress and ofcourse our Joomla friends were in on the action too. While this does not tell us the access vector, it does tell us it’s platform agnostic. From this we can make a very educated assumption that the attackers are more than likely using a suite of tools to exploit these websites. From Brute Force attacks against the various platform admin panels to gain access control, to exploiting known or new vulnerabilities in any of the various applications. What is curious though is whether it’s all in one tool or kit and whether the payloads are being created independent of the platforms. Often, what we see is a payload specific to a platform which is later adapted or enhanced for other platforms. To find something like these attacks so tightly integrated and intertwined talks to an interesting trend. Are you a webmaster? Do you own a web site? Please do your part securing your site so it is not added to these compromised Website Mesh Networks. There are various tools you can use to scan your websites and clean them up if they are infected, leverage them. Don’t get caught with your pants down! Story added 24. January 2014, content source with full text you can find at link above.